Sculpins or muddlers or wooly buggers. Purple, red, or yellow. Beadheads or coneheads. Strip them back fast or take it slow, go for repetition or mix it up. Let them drift or swing them through, maybe bounce them along the bottom. When it comes to fishing streamers, there’s not much you can do wrong. Except not fish them at all. Streamers will work most any time of the year, of course. But there’s something about the shorter days of fall, the colder water, that seems to suit them. 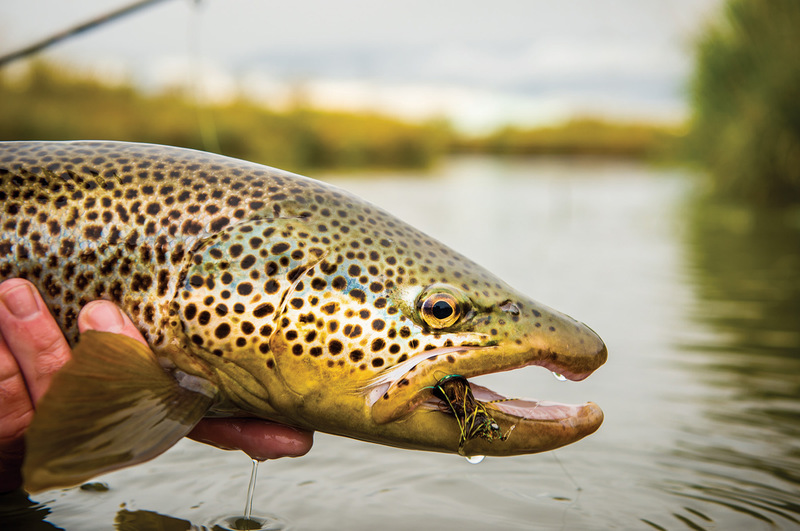 Maybe it’s simply that the brown trout have found their extra gear, snapping at most anything that drifts past. Fishing streamers in the fall feels right, like aligning obvious puzzle pieces. You’ve put away the effete three-weight spring creek rod, the middle-of-the-road five-weight, in favor of that broom-handle of an eight-weight. Just having the rod in your hand raises your pulse. 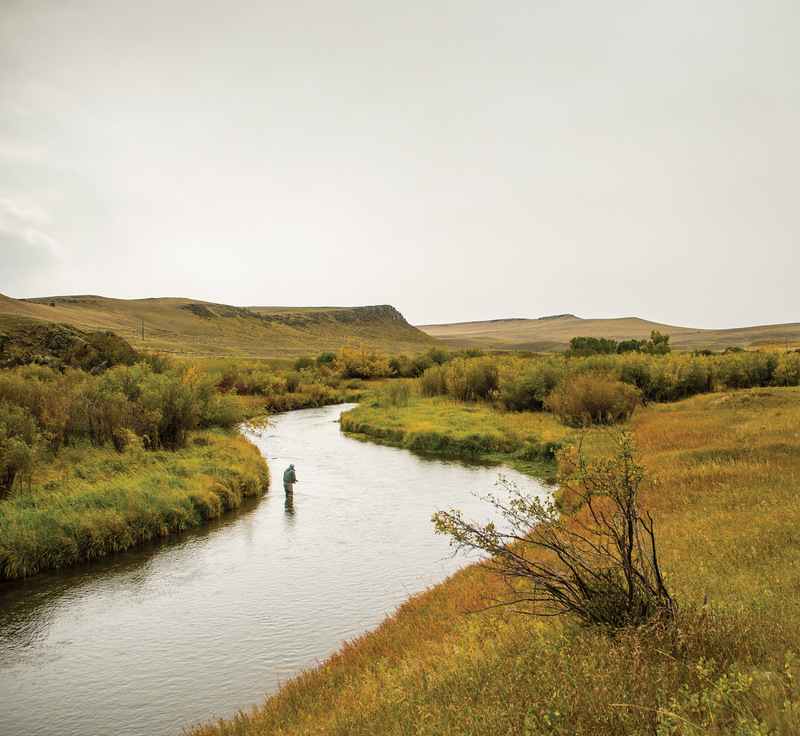 In the autumn months, after the upper Madison River loses some of the crowds, there are few better places to sling streamers. This monster was caught on a stream the size of a two-track gravel road. 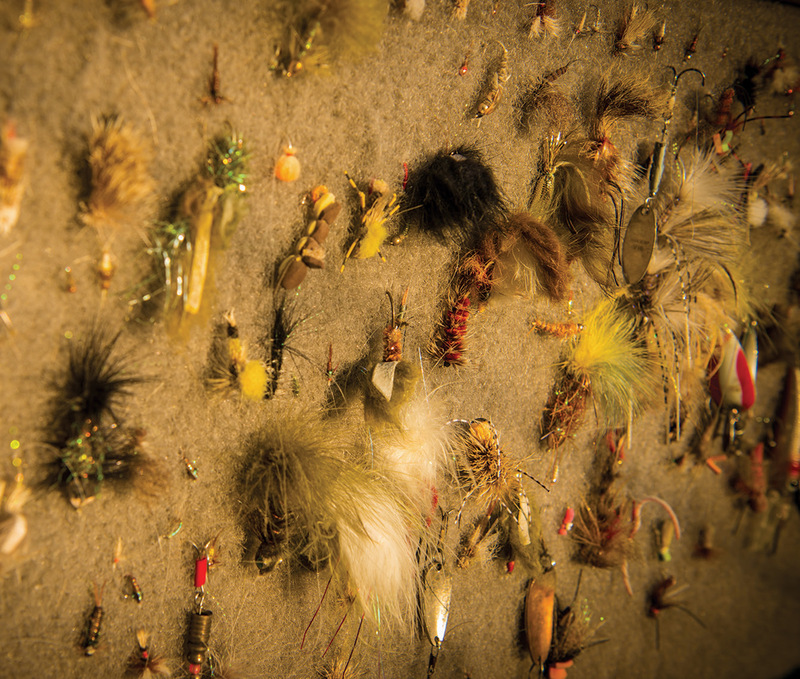 Some anglers carry their streamers around for months, mixed in conspicuously amid the nymphs and dries, just waiting for the right fall conditions. 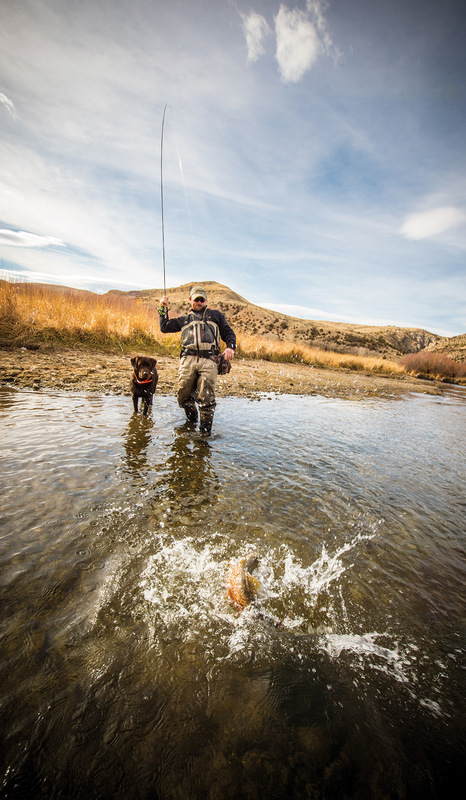 The Beaverhead River is famous as a fall brown trout fishery.